After our trip to see the Terra Cotta Warriors we stopped for lunch at a restaurant that “just so happened” to be inside a building that also housed a shop selling jade and beautifully lacquered furniture. Yes, it was basically another tourist trap but they did have some lovely things and I ended up buying a couple of tiny jade figures, just to commemorate the trip. Once back at the hotel we had the late afternoon to ourselves. 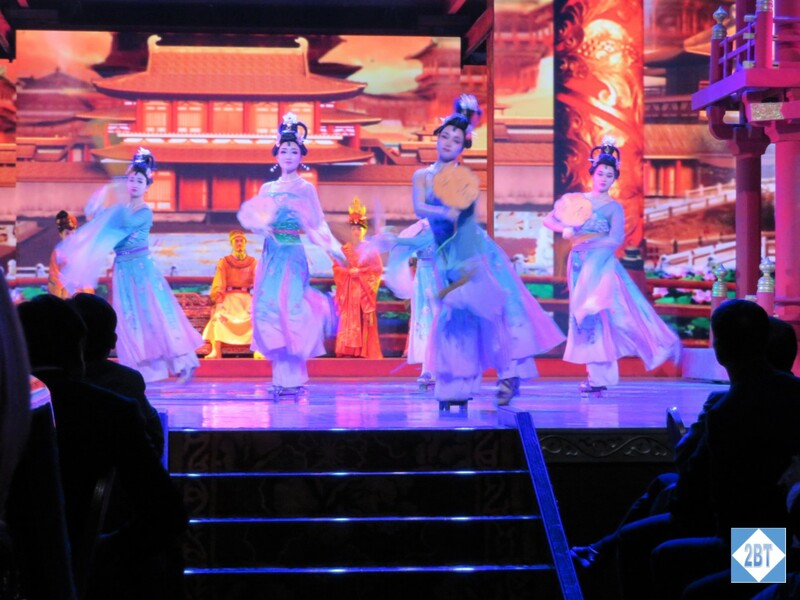 In the evening some of us chose to attend the Tang Dynasty Dinner & Show as an optional excursion. We were taken by bus to the theater where we enjoyed Cantonese cuisine before the show. 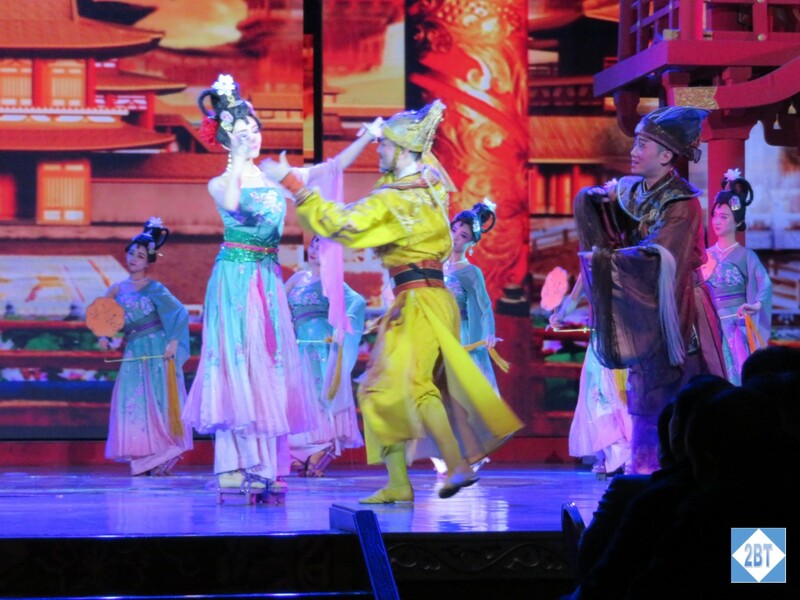 The story is based on the life of Mei-niang who was born in 624 AD. As a young teen she was the concubine of the Taizong Emperor but when he died, she was sent to a nunnery for several years. 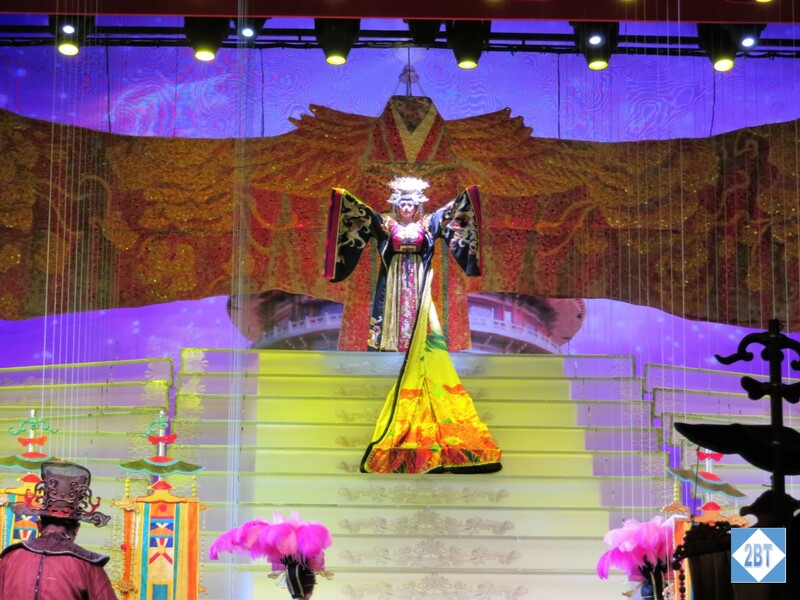 She had known the future Emperor Gaozong while she lived in the palace and once he took over, she became his first wife and when he died, she became Empress Wu Ze-tian in 690 AD. Her story is told in five acts from being selected as a young woman to her ascension to the throne. 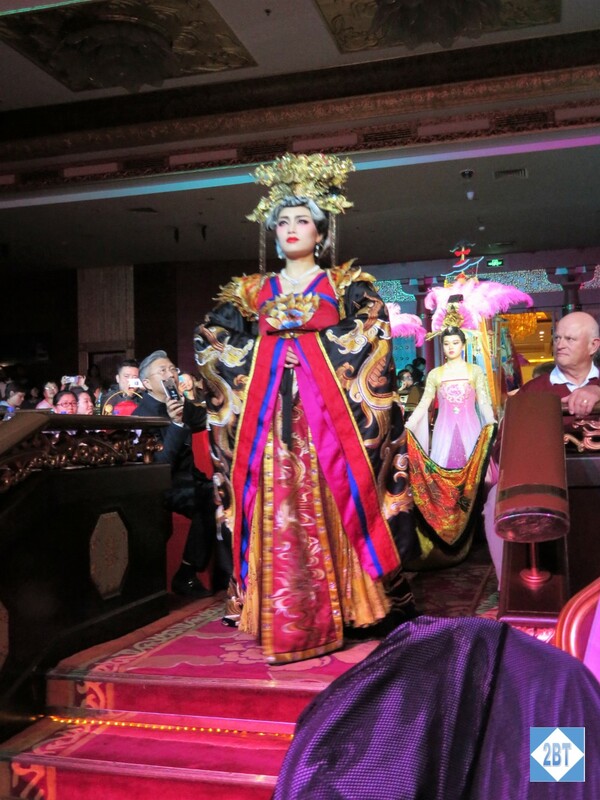 It’s quite dramatic with lots of dancing and amazing costumes. I thought the show was well worth seeing. Those of us who had paid for dinner had better seats than those who had only come for the show, so my recommendation would be to do both activities. The food was good and there was plenty of it so even if everything wasn’t to your taste there was still plenty of other things to eat. This is a fun evening and I managed to learn a bit about a historical figure that I had known nothing of before this performance.